Our photo of the day reveals a mighty rapturous raptor. We're not sure how she does it, but photographer Christina Anne M seems to be a bird whisperer with a camera. 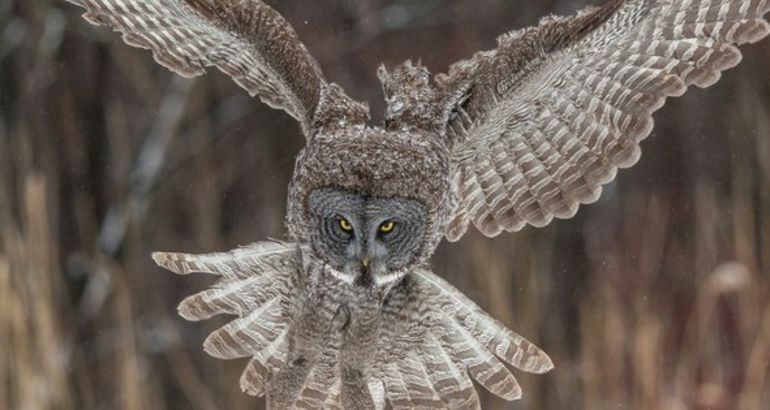 This shot of a great gray owl on the prowl that she took somewhere in Quebec is wonderfully revealing; Caught in the act, the hunter's laser focus and the wings and tail so powerful you can almost hear the "whoosh"!